We offer a choice of two options. 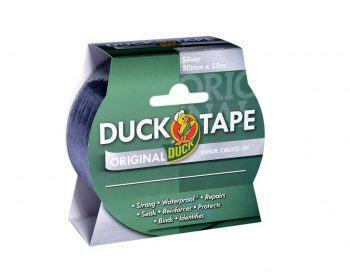 Either the Original Duck Tape – which is perfect for hundreds of repairs, around the home, garage and garden – this will fix firmly to most surfaces. Or if your task is a little more demanding. 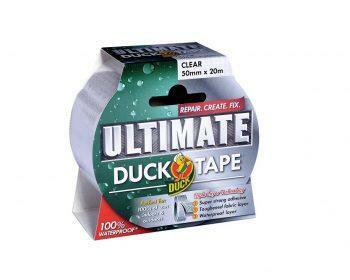 then we would recommend Ultimate Duck Tape – which is perfect for thousands of uses indoors and outdoors. Its 50% stronger than traditional duct tapes. Again great for use at home or work. What makes it so very different? Well its the Triple layer technology, where 3 high performance layers are fused together to create an amazing heavy duty, fabric reinforced tape – again sticking to most surfaces.